The Blaster Shots by Dominator Fireworks. A 6 pack of Single shot goodness! Great high powder weight singleshots at a very competitive price! 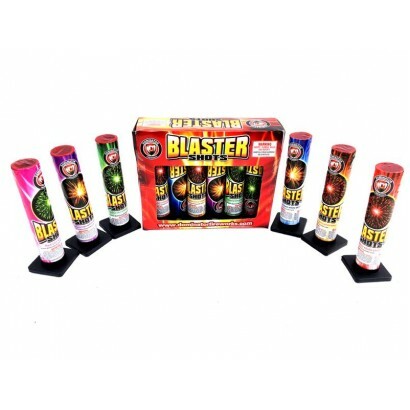 Buy yours online now at Territory Day Fireworks.